I was talking to one of my friends about Samantha Juste (who I just posted on the other day) and told her that my post on her came about because I had been watching something about the Monkees and felt inspired. She was practically appalled that I hadn't done a post on her (and apparently many Monkee-crazed peoples) favorite Monkee-wifee Phyllis Nesmith (w. Mike Nesmith). Phyllis Ann Barbour was born into a military family in 1946 Manhattan. She and her three younger siblings (two brothers and a sister) moved around a lot as a child, living in Los Angeles, Germany, and eventually living in Texas three separate times. By her sixteenth birthday, Phyllis was already in college in San Antonio, majoring in Journalism and English. While at school, she met Mike Nesmith who was three years her senior. Nesmith later claimed love-at-first-sight, saying, "when I met Phyllis, I had a feeling that I had never experienced before...I was so sure she was the girl for me that I asked her to marry me before I ever asked her for a date," though unfortunately for Mike, Phyllis was already seeing someone else. They later crossed paths again and began seeing each other quietly. When she was seventeen and Mike was twenty, she discovered that she was pregnant, and she and Mike were soon after married in March 1963. Phyllis had a son, Christian, that next January. Of married life, Mike said (in 1968) "since I've been married I have been a complete person. Before I think I was a half-person. Phyllis now makes up my other hald and makes me whole." In 1964 the newlyweds left San Antonio for Los Angeles, where Mike was working as one-half of a folk duo with John London. For about a year, the family lived with hardly any money to spare, up until Mike was cast as 'the guitarist in the wool cap' in "The Monkees" in early 1966 and experienced practically overnight success. Of her husband's newfound fame, Phyllis said "I was along for the ride; I happened to be married to someone who was in that position... I think it was very tough... I think it was hard to have a normal life and maintain some stable values. You have a loss of privacy and a distortion of personal identity." By early the next year, the Nesmiths were both truly celebrities and living like ones. They lived in a Hollywood Hills mansion and dipped their toes in the crazy (i.e. 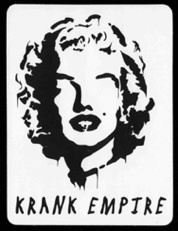 drug-fueled, wild, fast-paced, generally awesome) atmosphere that was available to them with fame, whereas the others seemed to dive head first. "Naturally," of fame, Phyllis said, "there was some interesting byproduct - the fame and money... none of which were particularly important to me." 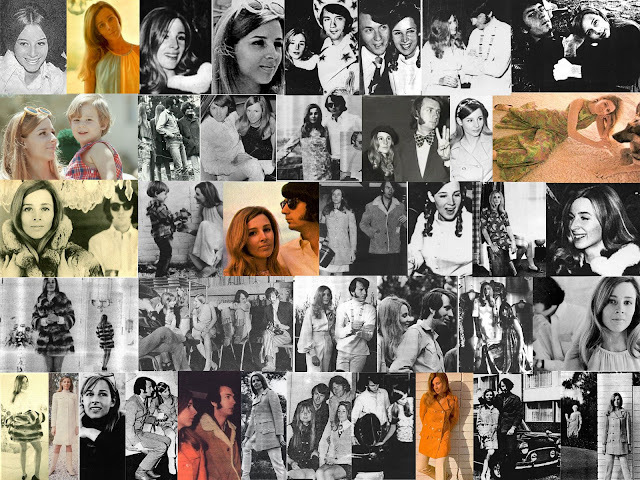 Unlike the other Monkee wives and girlfriends, fans were not envious or hateful of Phyllis - they actually celebrated her, calling her the ideal wife and mother to her family. A regular in magazines like "16," which featured her latest wardrobe choices, 'exclusive' beauty tips, and cast her as a role model to young girls, Phyllis became famous in her own right (though still for being wife to a Monkee). Mike and Phyllis went to London in early 1967, being invited to stay at the home of John and Cynthia Lennon (it was during this time John was recording Sgt. Pepper, where the Monkees would occasionally pop in at sessions). They would go to England again during that summer when the Monkees were on tour, and it was during this trip that she became pregnant with their second child, Jonathan, born early February of the next year. In lte '67, Phyllis got into an awful car accident in the Hollywood Hills off of Mulholland Drive, crashing one of Mike's cars (some report it was a Mercedes, other say it was Mike's new Lamborghini). She was rushed to her home after sustaining serious injuries. Despite this, she never went to the hospital. Her faith in Christian Science did not allow her to seek medical attention, instead using her faith in God for recovery. Today, the only physical thing that remains from the accident is a scar that runs across her right cheek. It was during this time that Mike had an affair with Israeli-born, Californian-based rock music photographer Nurit Wilde (who also appeared in two episodes of "the Monkees"), who gave birth to his third son, Jason, in August of 1968. Despite his infidelity, Mike and Phyllis stayed together (in the legal sense). She moved with Christian and Jonathan back to Texas for nearly a year before going back to Mike, but their marriage remained rocky. She had a third child (Mike's fourth), a daughter Jessica, in 1970, but this did not keep them from divorcing in 1975/1976. After their marriage ended, Phyllis had to adjust to being a single mother and in need of a job for the first time. She has been involved in political public relations (working for various senators and other public politicians) since the mid-1970s. I didn't know her, thanks for this! Mrs. Nesmith was my Sunday school teacher around 1982 at 12th Church of Christ Scientist in Van Nuys, CA. I remember my mom telling me she had been married to someone from the Monkees. I only knew them as the guys that pushed the bed through the streets. She was a nice lady. I left the religion though as soon as I hit 14. Too weird for me. Actually after the car accident she was taken to the hospital. Both my aunt and mother worked there at the time. After the accident, Phyllis was in bad shape and couldnt talk to the first responders so they loaded her up and brought her in. About 3 hours later, Mike tore through the hospital in a rage and physically removed Phyllis from the hospital. She was awesome and I miss her so much already. Jessica I knew your mom somewhat. MY husband and I ran Nesmith News fanzine. I just learned of her death. You, Christian and Jon have my sympathies. She was a beautiful woman in every sense. Hi Jessica - I know that this is many months after you posted here and this probably won't find it's way back to you, but I what you to know that you have my deepest sympathies for the loss of your mom. I must have found out in the newspaper a few days after her death, but I was immediately crushed. I had no relation to her at all and our paths would have never crossed, but she was such a cool woman from everything I read. It's amazing how so many people have come together here to reflect on their personal memories and experiences about your mom. I think that that's the mark of a truly remarkable person - someone who can affect the lives of people all over: daughters, students, newswriters and the people like me who just admired your mother from afar. Jessica I al sure that she was a beautiful Lady because she has a beautiful daughter. Stay sweet and strong..
For what its worth, the photo in the upper left corner (hair parted in the middle) is her younger sister Joan. She was a teenager at the time. Just realized Phyllis had passed away. Saw it while surfing the web.She was an important part of Monkee history. She seemed like a great wife and mom. I used to read about her in 16 and Tiger Beat. God bless Christian, Jessica and Jonathan. I know how hard it is to lose your mom (I lost mine 12 years ago). Christian, Jonathan and Jessica, I only found out today of the passing of your mom. As a die-hard Monkee fan back in the 60's I bought every teen magazine I could scrape up the money for. I remember the pictures of your mom and of the photo shoot at home. I loved and admired her so much I even started a scrapbook with just pictures of her. She was so beautiful, I loved looking at her pictures. Please accept my heartfelt, albeit, late condolences on this most beautiful woman.